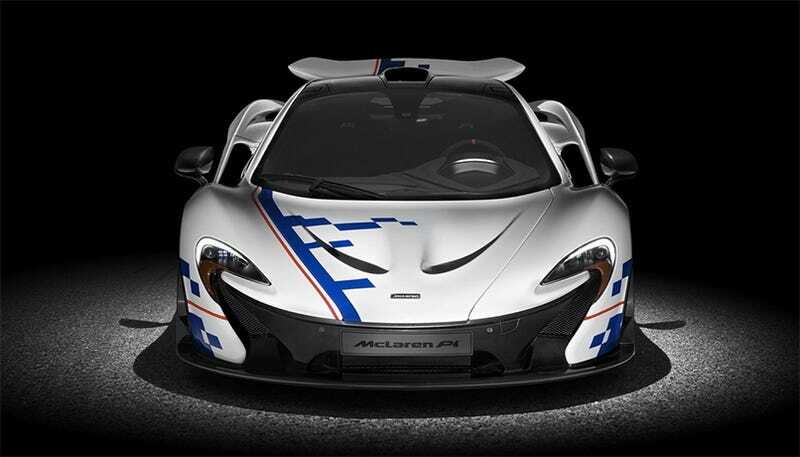 McLaren claims the P1's carbon ceramic brakes can stomp from 124 mph to a dead stop in 4.5 seconds. Just thinking about that makes my lunch feel loose. But the car also uses its brakes in another interesting way, as our friend at Engineering Explained breaks down. The P1 has an open rear differential, as opposed to a limited slip which we’re used to seeing on performance cars. A limited slip is generally considered preferable because it can distribute power to the drive wheels more efficiently, particularly in a turn where the wheels are spinning at different speeds or in sub-optimal traction situations. An open diff, on the other hand, just sends power to whichever wheel has the least amount of resistance. 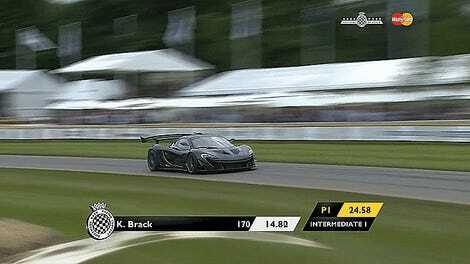 Unless the car has an advanced braking system to compensate, like the P1. As the video details when you take a right turn, your left wheels bear more weight, putting more load on the outside tires. That means those tires have more traction and can effectively put down more power to help you go faster. A limited slip diff would distribute power in response to this mechanically, while the P1 applies brakes to the inside wheel allowing more power to be put down in total. This braking system also allows the P1 to “brake-steer,” a proprietary McLaren ability, which means it uses a little brake on an inside wheel to move the car’s nose and turn quickly. The video notes that if the P1’s brakes get too hot, the effect is limited or shut down. However, you’re probably going to be below the heat threshold of this car’s carbon ceramic brakes the entire time you own it. Unless you actually use the thing for its intended purpose and put it on a race track. I’ve also heard people talk about this as having a benefit of precision. Braking the wheels instead of relying on a mechanical diff allows the P1 to manage power and wheel speed more exactly, which theoretically unlocks faster lap times for the most talented drivers.